Investigators said a call came in about a stabbing at the church at approximately 8:40 a.m. on Friday morning when the priest was in the process of celebrating mass. The Diocese of Quebec identified the priest as Father Claude Grou. The mass was being livestreamed by Sel+Lumiere TV, which airs the religious ceremony daily, when the stabbing occurred. The footage was quickly removed from the website following the attack. Grou attempted to run away as the attacker knocked over a candle. 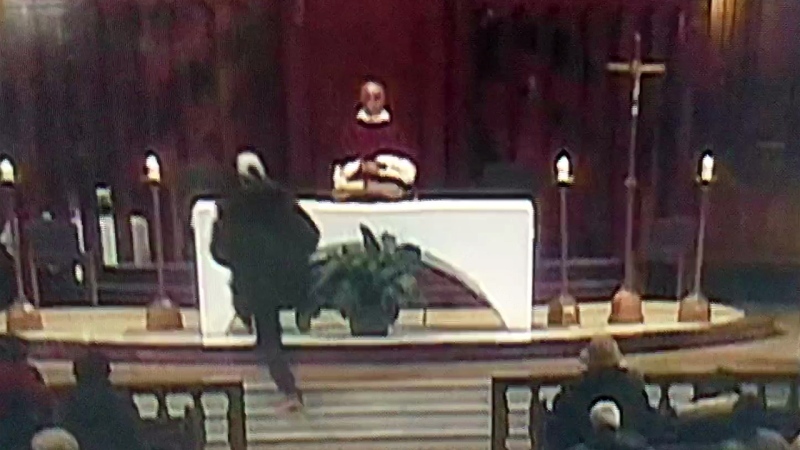 The video shows the man quickly catch up to the priest and push him to the ground before he appears to stab him once. Paramedics treated the priest for minor injuries to his upper body at the scene. He was transported to hospital for further treatment.